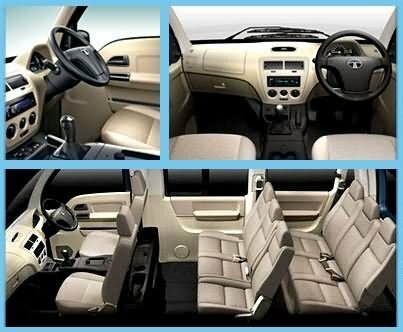 Tata Motors has launched its MPV minivan in Rajasthan called Tata Venture. The company in Rajasthan to stop from now and throughout India as production ramps and sales. 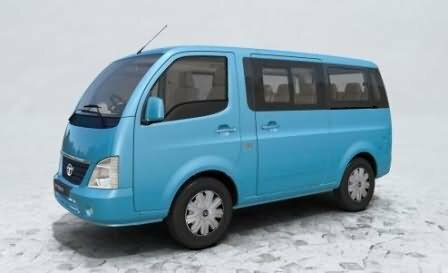 The Venture comes from the options of 5, 7 and 8 seasting Tata, eight people in three rows in front of where the space and has enough space for luggage. The length of 4 meters that qualifies as a small car for the special tax laws, and therefore is very attractive prices. The Tata Venture is powered by a 1.4 Litre turbo CRDI diesel engine, delivering 71 PS power, with best in class fuel efficiency among diesel MPVs in the country. The mileage as certified by ARAI is 15.42 kmpl. 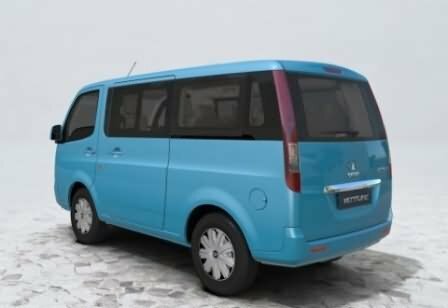 The Tata Venture will be available in 5, 7 and 8-seater options in 3 row front facing configuration and will be available in a range of 5 colors and 3 trim levels. The Tata Venture comes with a warranty of 2 years or 75,000 kms (whichever is earlier). In Rajasthan, it will be available across 24 dealerships (13 passenger car dealerships and 11 commercial vehicle dealerships) in the first phase. A semi monocoque construction provides the required rigidity while the robust shell has energy absorbing crumple zones built in. A collapsible steering and side impact beams protect occupants in an exigency. 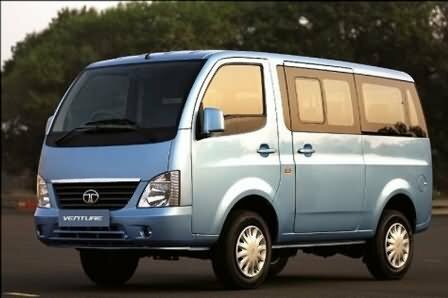 The Tata Venture meets crash safety norms applicable in the domestic market. Tata Venture has been priced between Rs. 4.05 lakhs and Rs. 5.07 lakhs (ex-showroom Jaipur) for various seating capacity and trim lever variants. With the kind of features offered this is a very attractive pricing for personal as well as commercial commuting purpose.